A recent experience with Ancestry DNA reminds me that even fifth to eighth cousins on Ancestry DNA can provide a clue, possibly the big clue, to a breakthrough. I was recently contacted via Ancestry DNA messaging by a 5th-8th cousin of my mother-in-law. She (I’ll call her K.B.) was excited because she had only encountered Trumpe’s[i] before that were known relatives. Her 3rd great grandfather was John Frederick Trumpe and was from the same place, Glarus, Switzerland, as my mother-in-law’s great-grandfather, Bernhard/Bernard/Benard Trümpi. There were some coincidental matches in our two trees. For example, K.B.’s John Frederick named one of his children Bernard and my mother-in-law’s Bernhard named one of his children Frederick. John Frederick Trumpe and his wife Catherine settled in Pittsburgh, PA. The next piece of the puzzle came from family oral history. 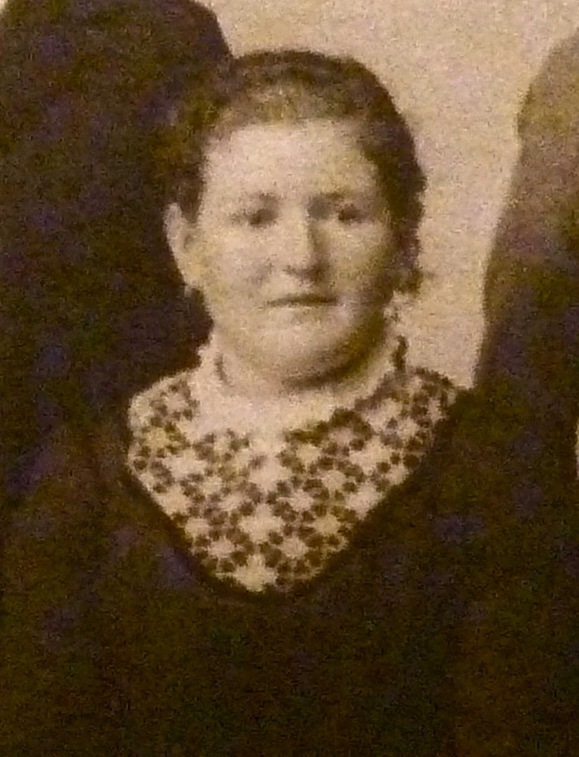 My mother-in-law’s grandmother, Bertha Barbara Trumpi, was said to have come to the United States with an aunt and uncle who were living in the States already. It was also family oral history that she came over “above decks” (not steerage). I had long suspected that it was her aunt and uncle, Rachel and Fredolin (Fred) Sigrist, but I had never found any support for that. Rachel and Fredolin had settled in Pittsburgh, PA, and traveled back and forth to Europe often above decks during their many trips but I hadn’t found any evidence of their traveling in 1901-1903 when Bertha came across. I revisited Bertha’s immigration and still didn’t find anything on Ancestry.Com, Family Search, or Ellis Island Foundation. Then I searched Find My Past and found a record of Fritz (Frederick) and Katherine (Catherine) Trumpi, who left Southampton on 26 July 1902, aboard the S.S. Philadelphia bound for New York with a 19-year-old spinster, Bertha. [ii] They are listed in the passengers with cabins section of the passenger list. I looked closer and couldn’t find and arrival document on Find My Past. I went back to Ancestry.Com and Ellis Island Foundation websites and looked at the passenger lists for the S.S. Philadelphia arriving in New York on 2 August 1902. Nothing. I browsed the images painstakingly several times and still didn’t find any arrival information. I noticed that the images only included people in third-class (steerage); none of the images included first or second class passengers. That is why I never found them before. If Fritz Trumpi is John Frederick Trumpe and John Fredrick and Bernhard Trumpi are brothers, then we have a match. All the pieces seem to fit, all the ages are right for Fritz and Katherine to be John Frederick and Catherine. Also, the age for Barbara Bertha Trümpi is correct. With all the circumstantial evidence I have found I am going to tentatively associate John Frederick and Bernhard as siblings. What makes this association even more important is that, when John Frederick Trumpe died in 1917, the informant indicated that his parents were Benhart and Anna Oertli Trumpe. [iii] That information potentially extends the Trumpi line back another generation. Is it possible that Benhart and Anna are not the common ancestors? Absolutely. It may be that Benhart’s parents are the common ancestor, or even back another generation. Time and further research will tell, but so many circumstantial bits of evidence fit that between the DNA and the paper trail, I know there is some kind of relationship. Visit Ellis Island and see if they have passenger records at Ellis Island that include the above deck passengers for the S.S. Philadelphia that arrived in New York on 2 August 1902. Research the Trümpi family in Glarus, Switzerland further. Consider doing a Trumpi family of Allegheny County, Pennsylvania and determine additional information regarding potential family members. [i] Trumpe, Trumpi, and Trumpy are all forms of the same surname. Often spelled with an umlaut as in Trümpi. One hundred and six years ago, John and Bertha Barbara (Trümpi) Huber had the Christmas Eve present of their second child. Clarence Edward Huber was born on 24 December 1909 in Elberta and Josephine, Baldwin County, Alabama. 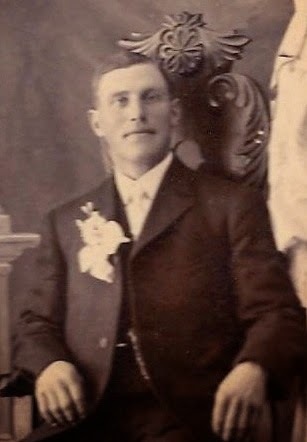 Clarence didn’t grow up in Alabama as his family bought a farm in James Township, Saginaw County, Michigan about 1918 and moved there then. Clarence went to school in Saginaw County and graduated from the eighth grade. 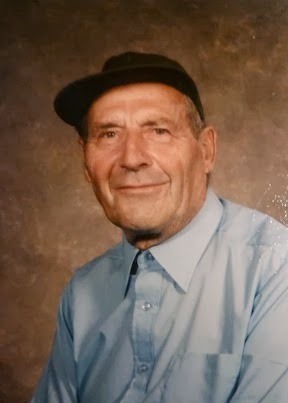 In 1942, Clarence enlisted in the army and served until his release in September 1945, when he returned to James Township and worked on his father’s farm until his father’s death in 1948. For the next twenty years, he helped support his mother on the family farm until her death in 1968. He continued farming on the family farm until his death on 25 June 1994. 1910 Census (A), Ancestry.com, Year:1910;Census Place:Elberta and Josephine, Baldwin, Alabama; Roll: T624_1; Page: 5A; Enumeration District: 0013; FHL microfilm: 1374014. 1920 Census (A), Ancestry.com, Year:1920;Census Place:James, Saginaw, Michigan; Roll: T625_793; Page: 4B; Enumeration District: 164; Image: 475. 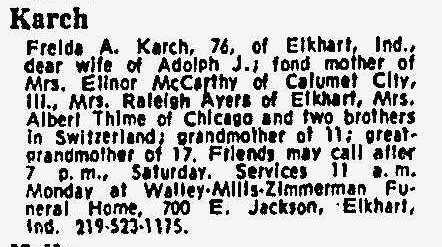 1930 Census, Ancestry.com, Year: 1930; Census Place: James, Saginaw, Michigan; Roll: 1021; Page: 7A; Enumeration District: 0018; Image: 767.0; FHL microfilm: 2340756. 1940 Census, Ancestry.com, 1940 Census – Place: James, Saginaw, Michigan; Roll: T627_1811; Page: 9A; Enumeration District: 73-18. BIRLS Death File 1850-2010 (Name: US Dept of Veterans Affairs; Location: Washington DC; Date: 1911;), Ancestry.com, Clarence Huber. Lutheran (Alabama), Baptism Certificate, Clarence Eduard Huber. Michigan, Deaths, 1971-1996, Ancestry.com, Michigan Department of Vital and Health Records. Michigan, Deaths, 1971-1996[database on-line]. Provo, UT, USA: Ancestry.com Operations Inc, 1998. Original data: Michigan Department of Vital and Health Records. Michigan Death Index. Lansing, MI, USA. Michigan, Dept of Public Health, Death Certificate, Seeking Michigan, Clarence Edward Huber. Saginaw News, Public Libraries of Saginaw, 1948-10-05, Page 19, Huber, John. thought he was headed for Oregon. 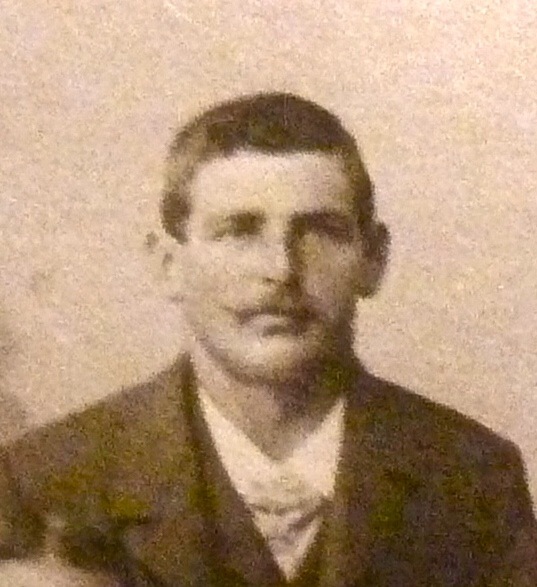 I had him arriving in 1901 aboard the SS St.
8 miles north of New Glarus. farm from Jacob Spitz in James Township, Saginaw County, Michigan in 1916.
and son, Clarence, living on the Farm on St. Charles road in James Township. worth about $4000 in 1940. The daughter of Florence (their granddaughter) would come to live with him and his wife in the 1940s. John died on 5 Oct 1948 from a lingering illness at St.
116, in Oakwood Cemetery, Saginaw, Michigan. immigrated in Nov 1901 aboard the USMS St. Paul and settled in Oregon. Bridgeport Township, Saginaw County, Michigan. · Find John Huber’s immigration information. Censuses, 1895 and 1905, John Huber. 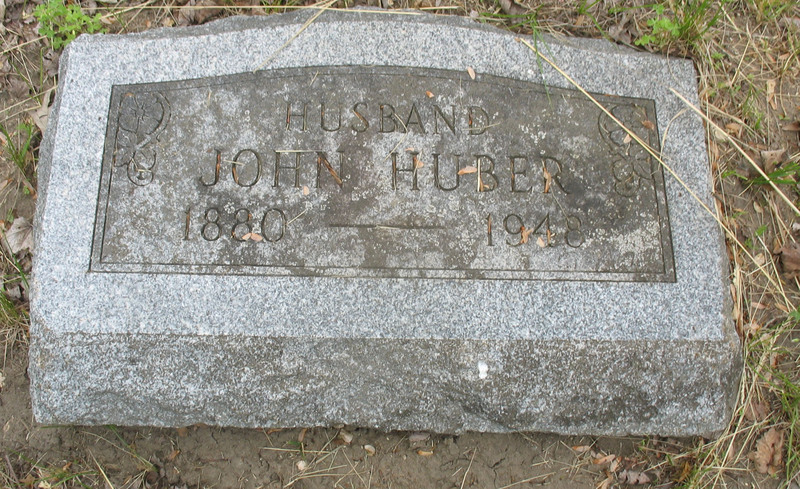 http://search.ancestry.com/cgi-bin/sse.dll?indiv=1&db=WIstatecen&rank=1&new=1&MSAV=1&msT=1&gss=angs-d&gsfn=John&gsln=Huber&dbOnly=_83004005%7c_83004005_x%2c_83004006%7c_83004006_x&uidh=by1&pcat=35&fh=13&h=1552338&recoff=7+8&ml_rpos=14. 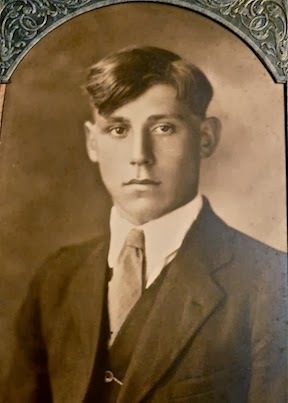 there, then moved to Michigan before 1920.
photographs, I was pretty sure that John’s father was Jakob and possible names for his mother (Frieda & Kath). I knew absolutely nothing on Bertha’s parents. County in the 1905 Wisconsin Census. I was astounded — In 8 hour and 10 minutes I had a reply. Glarus, Wisconsin.) So, I’m looking forward to seeing the microfilm. had a family photo that contained them. 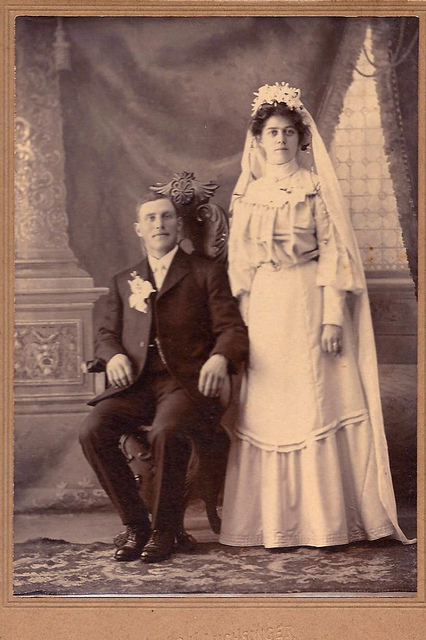 census records and didn’t find anyone else named Bertha Trumpe near New Glarus so I’m sure it is the right parent. Retha came to the States very pregnant with three children. in Switzerland that still needs answers. It was a descendent of the baby boy born on the cruise that had the tree, missing Bertha that tuned me into the family thing. I also wonder greatly why a Swiss family would move from Wisconsin to Alabama. Certainly against most migration patterns. That will take some more investigation. Also, I see where other Hefti’s have married other Trumpi’s. definitely keep me busy for a while. always exciting to find new cousins. surname board can make a huge difference.